There are two products on the market to help collect output while changing your skin barrier wafer that are designed to help keep your hands free for those first few minutes while stepping out of the shower. They eliminate the need to use one hand to hold something absorbent on your stoma so that you can take your time to towel-down with both hands. 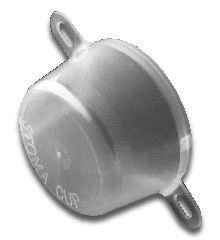 The Stoma Cup has been on the market for several years. A new product, however, the Stoma Care Belt has put a new twist in this process by adding an additional feature. The Stoma Cup attaches firmly over your stoma with an ostomy belt, there is no need for tape or adhesive! It fits stomas up to 2 inches in diameter and is made of plastic so it’s easy to clean and re-usable. Output merely stays put within the cup. This device is also useful if an ostomate wishes to bathe without wearing an appliance. Any output would be kept from soiling the bath water. As one ostomate wrote, “I’ve had 2 colostomies within 18 months and an ‘unfriendly’ stoma. But when wearing the Stoma Cup my bath time is no longer a challenge!” To order call (419) 358-8003 or email rcs@wcoil.com. The Stoma Care Belt is a wonderful new invention by Marie Ayre, the wife of a new urostomate. I’ve had the pleasure of speaking with Marie by phone and her heart is in this product, wishing to make all ostomates’ lives just a little bit easier. The Stoma Care Belt is used in conjunction with Serenity™ pads. It was designed to be used immediately after washing in the shower, but can be used anytime the stoma pouch is removed keeping your hands free. It works well on either the right or left side of your tummy and is easily adaptable for colostomates, ileostomates and urostomates but is a special blessing to urostomates who cannot control output. Use Serenity™ Extra pads if you have an urostomy, Serenity™ Ultimate pads if you have an ileostomy and Serenity™ Extra Plus if you have a colostomy. Each kind of output has different absorption needs and these particular pads work best with each type. This product is also a great emergency fix. If a bad leak occurs far from home you can use it as a ‘band-aid’ or ‘jury rig’ until a convenient place to change is found. The belt is latex free, hand or machine washable and uses a Velcro closure. It comes in six sizes from small to 2x large. 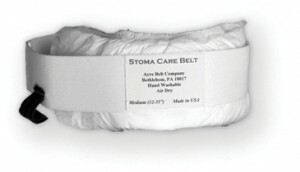 Order online at http://stomacarebelt.com/ or write Ayre Belt Co, P.O. Box 1064, Bethlehem PA 18016.